Members of the Durango Swim Club huddle before a race at the Montrose Marlins Fall Open on Nov. 2. The Durango Swim Club fared well at the Montrose Marlins Fall Open on Nov. 2-4 as the boys finished in fifth with 634 points while the girls also finished in fifth with 1,292. DSC finished in sixth-place overall with a combined score of 1,926.5 points. The 13-and-over age division had solid performances from plenty of swimmers. Quinn Schmidt, 15, won the 500-yard freestyle event with a time of 5 minutes, 26.34 seconds. Max Thillow, 16, dropped almost two seconds in the 50-yard butterfly sprint and finished with a time of 30.35 seconds. In the mile swim, Victoria Duran, 15, won the event with a time of 19:01.36, while Erin Knight, 14, was not far behind and came in second with a time of 19:49.28, a new personal best. The 12-and-under team had plenty of high scorers, as six swimmers recorded over 100 points for the team. Merin Schmidt, 10, led all swimmers for the club with 154 points, as she won the 500-yard freestyle with a time of 6:47.31, a pool record. Schmidt also placed second in the 100 freestyle, 100 backstroke, 50 breaststroke and 100 individual medley. Denny Woods, 10, won the 25-yard backstroke with a time of 20.42 seconds and finished with 126 points. Aileen McManus, 10, had 120 points individually and won the 50 and 100 breaststroke for DSC. At the 10-and-under level, Brinley Duran, 5, won both of her events and had personal bests, while Teagan Server, 8, improved her time in numerous races. 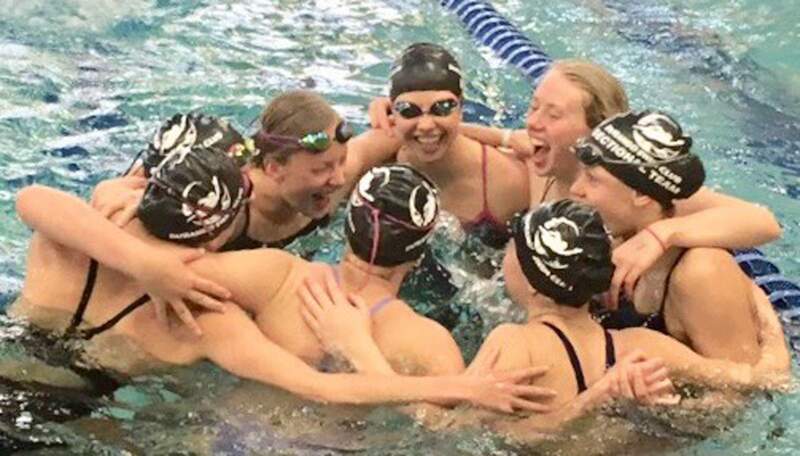 The 14-and-under and 15-and-over members will compete Saturday at the ABQ High Desert Classic in Albuquerque, while the rest of the DSC will not compete again until Dec. 15, when they will host the Durango Winter Splash swim meet at the Durango Recreation Center.